Mpow is known for making great affordable headphones and these Mpow On-Ear Bluetooth Headphones are no exception. 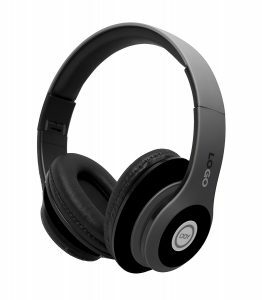 Despite the cheap price, the headphones feature a lightweight design with leather covering and soft memory padding for maximum comfort. It offers up to 14-hours of playtime and a wireless range of up to 33-feet. Sound quality is far from the best around but you get a very balanced sound experience with decent highs and mids. The LanBaiLen Wireless Headphones is a really great pair of headphones for only $15. 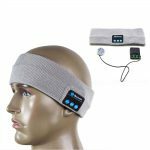 Its lightweight and very comfortable and secure in the ear even under excessive movement, perfect for exercise and outdoor activities. Bluetooth pairing is very easy and will work with your phone, TV, and laptop. It has a range of 10m working distance and 4 hours of playtime. Sound quality is pretty good the highs are clean and clear. The bass delivers some punch that’s not over the top but is still pretty decent for the price. What sets this headphone apart from other devices is the aptX support. 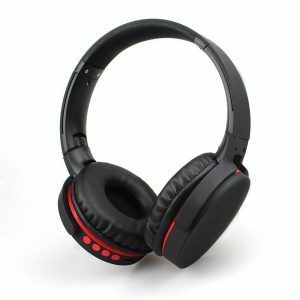 The LanBaiLen Wireless Headphone is perfect for the one who wants a really cheap and lightweight wireless headphone with great noise isolation for exercising. 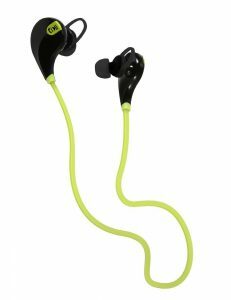 This lightweight headphone is excellent for the gym or working out. It has a very durable simplistic design that provides flexibility and comfort during exercise. On the end of each earbud, there are magnets so you can attach both ends together and wear it around your neck as a fashionable necklace so they won’t be easily misplaced or lost. The sound quality of this headphone isn’t the best but it still delivers a good audio experience that will make you enjoy your music or podcast during work out. 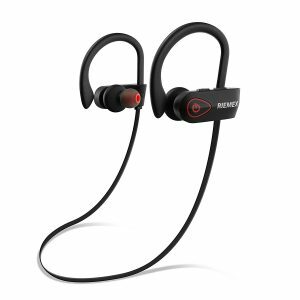 If you looking for a cheap lightweight, durable and flexible wireless option for jogging or exercise the Proshine Bluetooth Headphone is a choice. The Aukey Arcs headphone is another good pair of cheap wireless Bluetooth earbuds that’s great value for money. 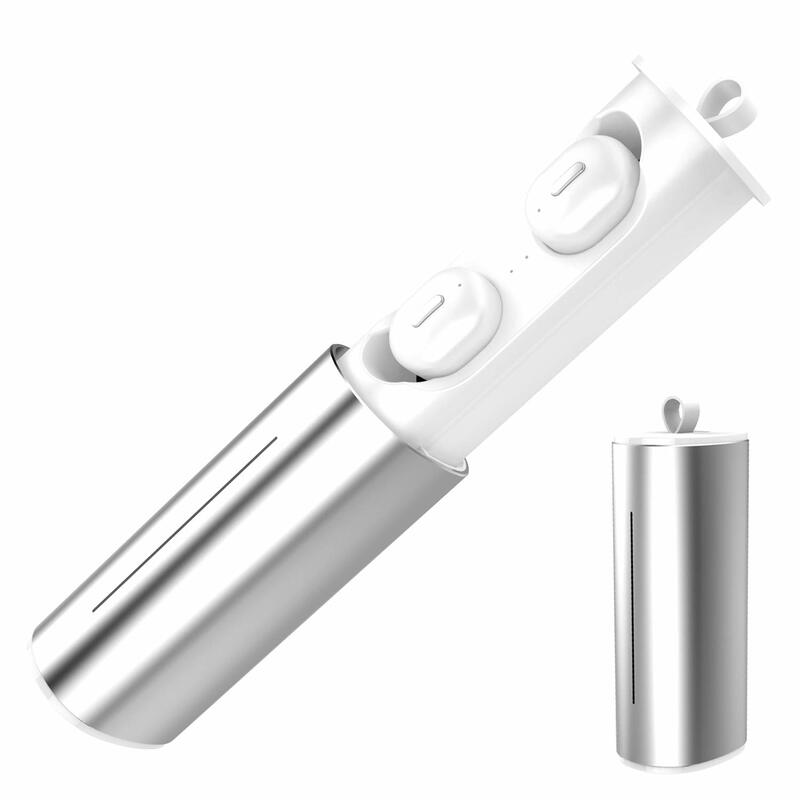 The unique loop design allows the earbuds to easily fit into your ear very securely and will stay in place even under heavy movement. 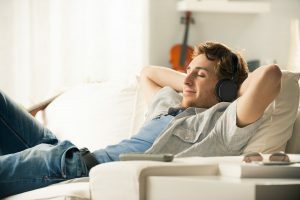 On the cord, you get a noise-canceling mic that’s clean and clear, a volume up and down buttons and a button to play/ pause your music and also accept calls. The Aukey Arcs is sweat-proof with 5½ to 6 hours of battery life. The earphones have good sound quality that loud and clear but there’s little to no bass. The Aukey Arcs is a good pair of cheap wireless headphones that worth a try. 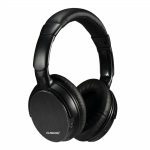 The XIBO Bluetooth Headphones offer great sound quality and comfort for a very cheap price. This headphone looks and feels way more expensive than it really is, it has a nice clean design that lets it stand out more than any other headphone on this list. The sound quality is very loud, clean and clear with ample amount of bass. 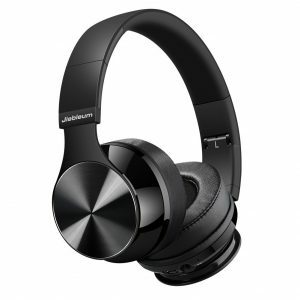 You get 8 hours of music play time and a wireless range of up 32 feet which is pretty impressive considering the price. There’s a TF port so you can play music directly from an SD card and also an FM radio function, these are features that you mostly find on more expensive headphones. For the price the XIBO offers so much for so little, it’s an absolute bargain. 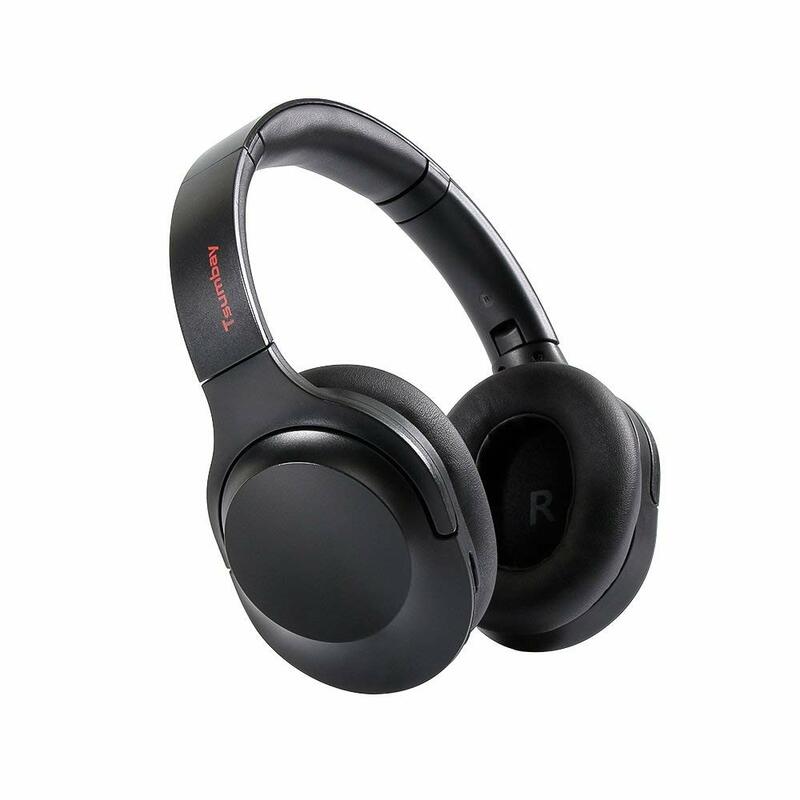 This Riemex TM Bluetooth headphone will outshine most headphones in this price range. 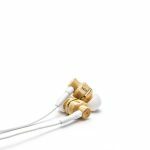 These earbuds are extremely durable with an IPX7 rating so there fully waterproof so you can even use the headphone when you’re in the shower. 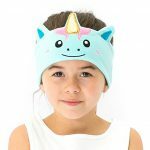 It has an over-ear design that provides excellent comfort along with a secure fit making them great for jogging, cycling and more. 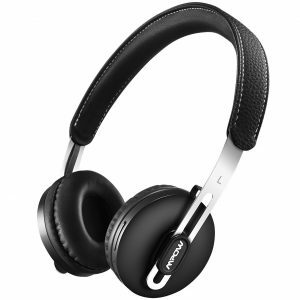 The headphones deliver an impressive sound experience with balanced highs and mids with deep bass. 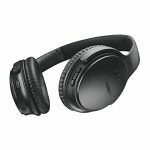 The noise canceling is very effective its block out background noise just as good as most noise canceling headphone in this kind of price range. You get Bluetooth 4.1 technology with a wireless range of 30 feet. If you’re looking for a great pair of Bluetooth headphones with very little money to spend, you won’t find anything better than the Riemex TM Bluetooth headphones. The Otium Wireless Headphone is more than great value, it’s hands down the best headphone on this list. It can be used both wirelessly or wired with an auxiliary port with a 3.5mm cable. The quality of the headphone is very impressive with a simple and elegant design that you only see on more expensive devices. It has 16 hours of playback/ 18 hours of talk time with a distance of 33 feet, however, some customers have been getting a distance of 55 feet. The round foam earpieces are covered with a type of leather material that’s pretty soft and cushy, giving you a very comfortable and relaxed feel with great noise isolation. 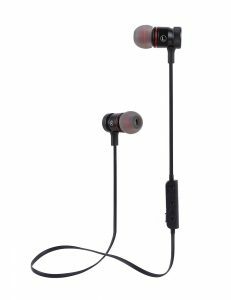 The sound is very impressive for the price, it delivers an excellent amount of bass while maintaining crystal clear audio. This is something a lot of more pricier headphones don’t do. I love the Otium Wireless Headphones and I highly recommend it, it’s the best wireless phone you can buy at this price point. The iJoy Matte Headphones are super lightweight and comfortable. 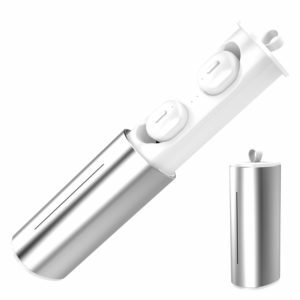 It has an SD card plugin, a built-in microphone for hands-free calling and a built-in radio. Battery life is pretty decent at 8 to 10 hours. Sound quality is really good but there’s not a lot of bass which is no surprise, but it’s still good enough considering the price. On the side of the earpiece, you have 5 controls from playback/ pause/ answering calls, an equalizer to tune up your audio, skip next/ previous track and volume up/ down. The iJoy Matte Wireless Headphone is a good option if you’re looking for a cheap wireless headphone that’s foldable and lightweight. 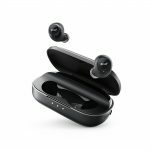 The MANCASSY X16 Truly Wireless Earbuds have a very clean and sleek design that makes it feel a bit more premium than most of the other earbuds in this price range. 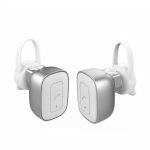 They fit in the ear very stable and secure and delivers a fairly good audio experience that’s loud and clear with ample bass. 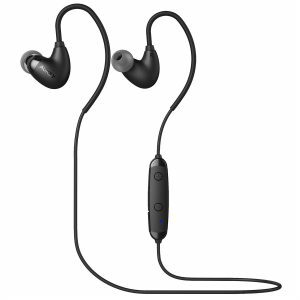 Like most earbuds, the X16 earbuds can be used as single or as a pair. 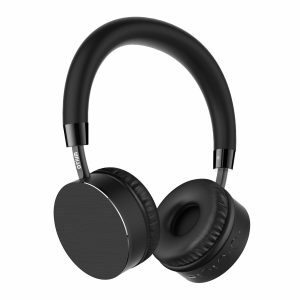 This Tsumbay over the ear headphone offers great comfort and pretty good sound quality that will definitely compete with a lot of the more expensive Bluetooth headphones on the market. It boasts an enhanced Bass Mode button that will provide deep punchy bass that’s backed by clean clear vocals. When compared to all the other headphones on this list the Tsumbay offers the most audio playtime with close 20-hours on a single charge. The Tsumbay Bluetooth headphones currently offer some the best performance under $20. 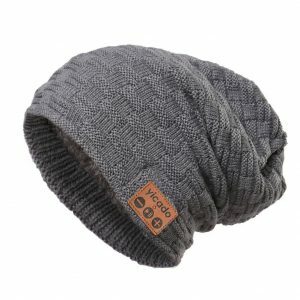 The SansyGoods Bluetooth Beanie delivers style and comfort at an affordable price. It has a single driver that produces impressive sound quality that will compete with some of the best on this list. Have your say below if you have purchased any of these awesome Cheap Wireless Headphones above, please share your experience with us. If you have any questions about these or any other Headphones please comment below. A pair of cool headphones doesn’t have to cost much. They may technically cost less, but some of them have decent sound quality. Nice article. But your social networking buttons are really obnoxious. They make it difficult to read. We hear you and we will try our best to make things much clearer for you and all our other readers that are having this minor annoyance. Thanks for sharing, we really appreciate it. The XIBU headphones are some of the best ones I’ve had… for about a month after that I had two pairs snap in the same place on the same side just from putting them on and if you buy the warranty on amazon good luck getting your money back because the warranty doesn’t cover physical damage.